This saw blade captive ring cones in various gauge sizes. 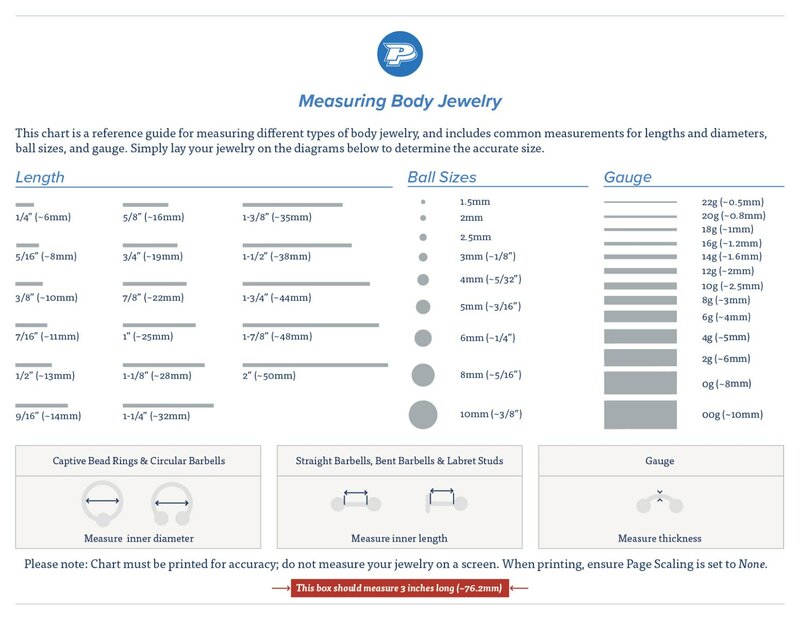 Rings are available in 12g (2.0mm), 10g (2.5mm) or 8g (3.0mm). Each ring has an inner diameter of 15/32” (12mm). All gauge sizes come with a stainless steel captive ball. The 12g and 10g rings have a 5mm ball and the 8g comes with a 6mm ball. 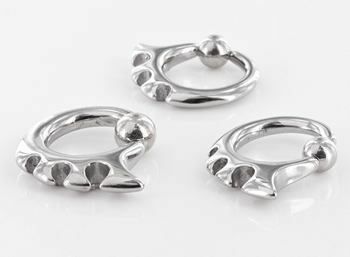 These rings are an easy wear in various piercings including ears, lips and navels.